What child does not like to dress up and pretend to be someone else? Great Pretenders is a GREAT way to assist your chid when they want to play pretend. They have costumes and accessories for children to dress as knights, princesses, kings, dinosaurs, etc. I still remember the day my two oldest daughters were playing they were someone else. I called them for lunch and they both ignored me. After I called a couple times and went back to check on them, I was told I was not calling them by their proper names. They had each chosen new names for the day! So, Great Pretenders sent me these really nice costumes. We received the Gold Knight and the Pterodactyl Cape. I had a friend of ours try them on for us, as they are going to end up as gifts. He thought they were great, but was a little embarrassed at first. 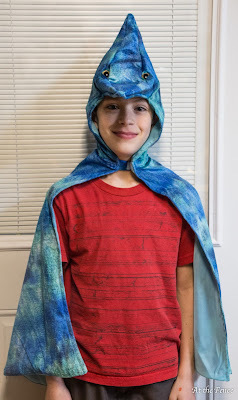 The Pterodactyl Cape has a hood, that has the pterodactyl head on top. The beak sticks out over your child's forehead. In a turquoise blue color, the cape is actually quite eye-catching! If your child grabs hold of each corner, they will be able to look like a flying pterodactyl. The Gold Knight set on the other hand is a black top, with gold trim and design, with a hood. 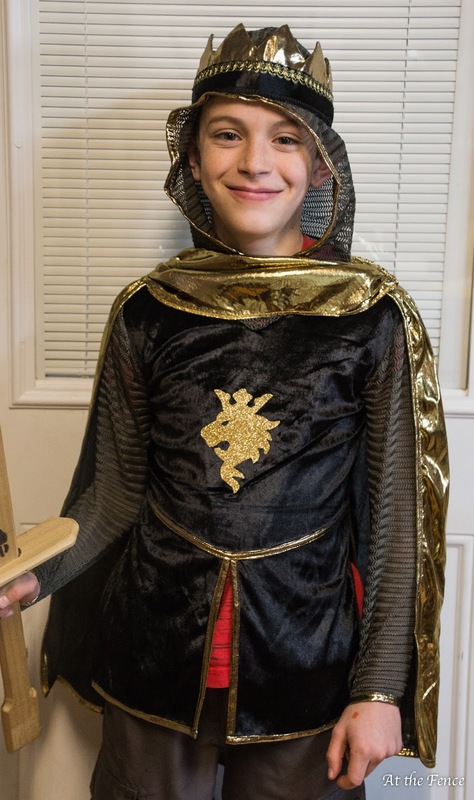 There is of course a gold colored cape along with a crown. The crown is made of soft material and has a small band of elastic, so it will fit varying head sizes. The crown is black and gold. The wooden sword is not included. 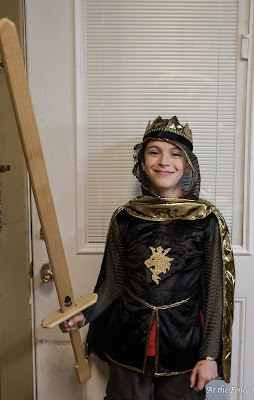 Your son can dress in the knight costume and go slay dragons. Or conquer kingdoms. As a pterodactyl he can soar and explore. Great Pretenders has so many other options! Be sure to visit their website and take a look around. Anyone of their costumes would make a great gift this holiday season and encourage your children to stretch their imaginations! Be sure to add Great Pretenders to your holiday shopping list. Thanks for stopping in today! See you soon. Starting to feel the chill of winter? We are. Today was cold and wet. 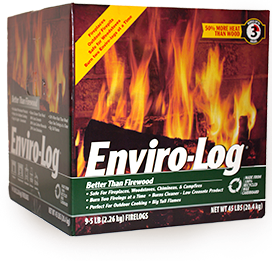 If you have a fireplace using Enviro-Logs is perfect for those chilly winter nights, when you just want to sit inside and enjoy the fire. Enviro-Logs are 100% recycled. They are completely safe and can be used in fireplaces, chimineas and campfires. These logs burn clean, and you can even safely cook over them. We are talking toasted marshmallows and s'mores! They are great in emergency situations too! 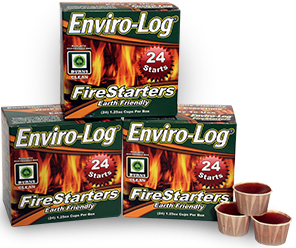 Enviro-Logs also have fire starters, which are great for camping, hiking, or even tailgating. They are an easy way to start a fire. These starters burn for approx. 20 minutes. They come in 8 start or 24 start packages. So, if you live up north, you can use this in your fireplace on those wintry evenings with family and friends. Or maybe a holiday get together. If you live in the south perhaps you can have an outdoor holiday party around a campfire! Obviously practice safety around fire. Monitor children when you, the adult, are using Enviro-Logs. 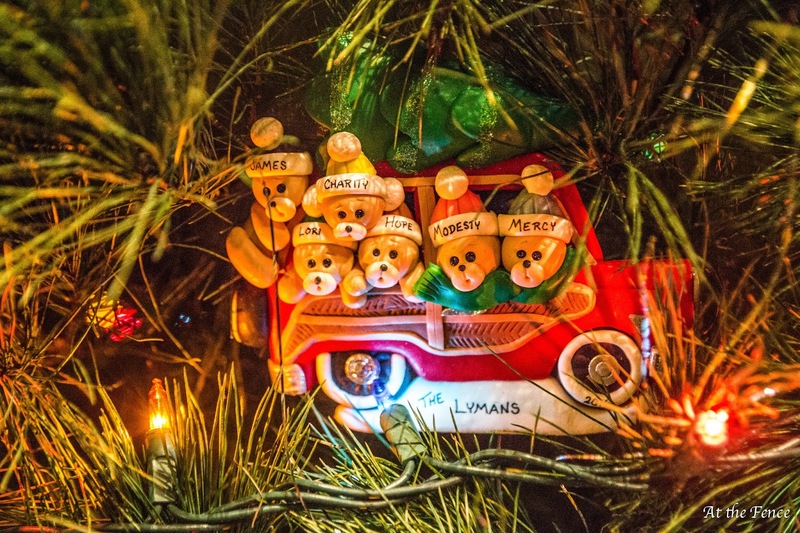 No matter how you decide to use Enviro-Logs this holiday season enjoy your time together with family and friends. How many of you enjoy all the holiday beverages that come out during the fall and winter? Yes, my hand is raised! From the beginning of September when Pumpkin Spice makes its annual debut, to as long as our local Starbucks carries the ingredients for peppermint white mochas, caramel creme brûlée and any of their other holiday drinks, I make frequent stops. Well, I actually make frequent stops any time of year, because, I have to admit it - I'm kind of a gourmet coffee addict. Yes, all those "froufrou" drinks some coffee drinkers turn their noses up at. 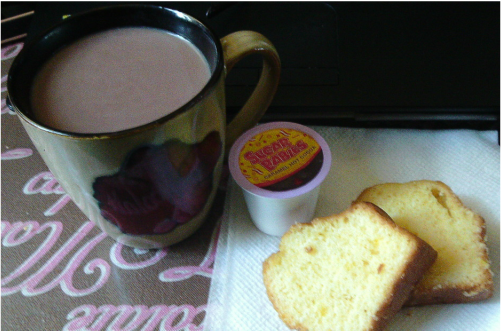 I do enjoy a good cup of black coffee, but I also love some good "frou-frou"! However, when you want to enjoy these coffees every day, it gets expensive. Don't worry though, there's an alternative - and it makes for wonderful holiday party beverages, as well as the perfect gift for any coffee addicts on your gift list! 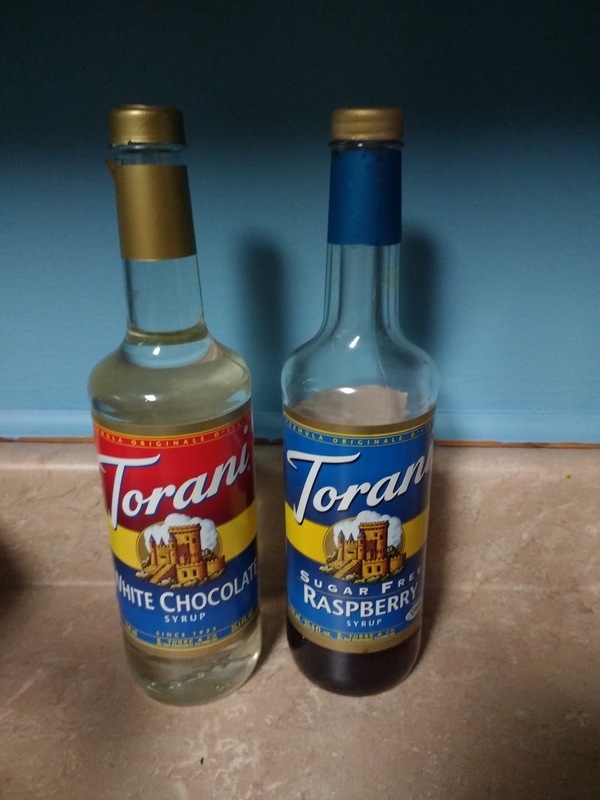 Torani Syrups offers everyone the possibility of becoming a barista at home, and you'd be amazed at how good these syrups taste! I received a bottle of Torani's White Chocolate Syrup and Sugar-Free Raspberry Syrup. These are perfect for pairing with each other, separately, or for any other of a dozen more options! My personal favorite is the raspberry white mocha combination. A friend told me about this drink a few months ago, and I have been hooked ever since! A venti raspberry white mocha runs 6.00-6.50 depending on the cafe, so it gets expensive super quick. However, two bottles of Torani syrup, espresso or strong brewed coffee, and some half and half and you can make your own at home for very little cost and any time you want! I've also enjoyed trying some other flavors. Peppermint white mocha is a very popular holiday beverage, so I've enjoyed making these at home with Torani syrups as well. Add a tablespoon of white chocolate syrup and a tablespoon of peppermint syrup and you've got the perfect holiday drink! These syrups aren't just for coffee drinks, either. I love making raspberry lemonade at home. Mix up a pitcher of lemonade, add raspberry syrup to taste, and serve over ice! This is one of my favorite summer beverages, but I even enjoy it over the winter. So, whether you're looking to add some flavor to your coffee this holiday season, or have a friend who would love to be an at-home barista, you can't go wrong with Torani syrups! You can find Torani products online, or use their store locator to find a store near you. Be sure to check out their recipe section as well for inspiration. 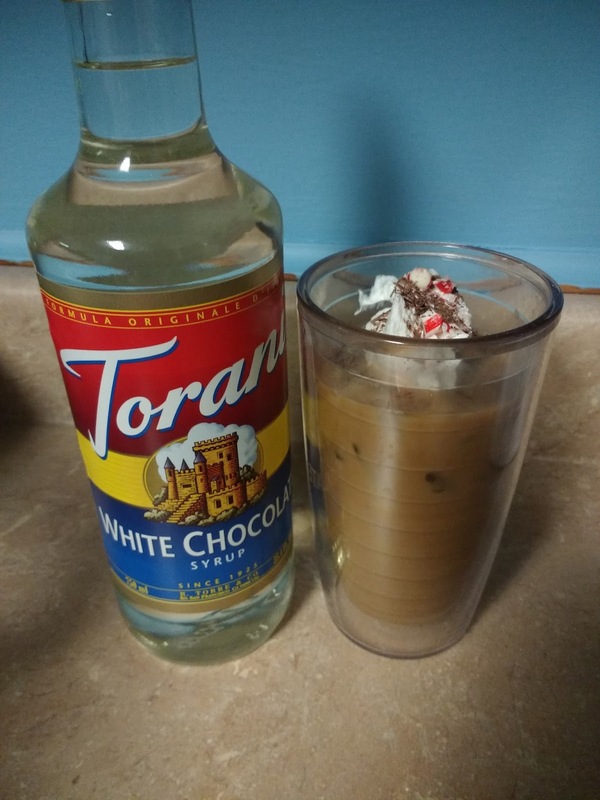 Coffees are just the beginning of all the fun you can have with Torani syrups! So you have just made the best decision you will ever make: you have purchased a puppy! First of all, I would like to congratulate you, and send my best wishes to your new puppy. He/she is probably the cutest thing that you have ever set your eyes upon, and is undoubtedly set to be pampered with every product you can find in your nearest pet store. However, before you go to the pet store and spend more money than you will care to admit at a later date, ensure that you are buying things that your new puppy need. Below is a list of five essential items to buy your new puppy. In the same way you bring a form of identification everywhere you go, a new puppy needs to do this too. On the off chance that your puppy finds his/her way out of your house or the back yard, ensure that they can be found and brought back home safely by purchasing an identifying dog collar and have your puppy microchipped. On the identifying dog collar, include: the puppy’s name, your address, phone number and email address. If someone finds your puppy, they will be able to get easily get in contact with you and return him/her. Having a microchip the size of a small grain of rice containing your contact details inserted into the puppy is also a great way of making sure that he/she can be located. Dog kennels and shelters have microchip scanners that can read these contact details and utilise them to get in contact with you, the owner, regarding the puppy’s whereabouts. Preferably the comfiest one in the pet store. Your new puppy deserves the best, so do not be afraid to go a bit over-the-top when buying him/her a bed. If you would not mind taking a nap in it, it is good enough for the puppy! I would recommend buying two separate bowls as opposed to the style of dual bowl pictured above. To ensure that it is easy for the owner to remember which bowl to put pour water into and which to put food in, buy a blue bowl for water and a red one for food. One of the first things that you will realise about your new puppy is that he will try to eat everything in your house and in your garden while he is teething. Therefore it is essential that, in order to save your kitchen table from constant abuse, you purchase a large quantity of toys for your puppy to chew on and play with. 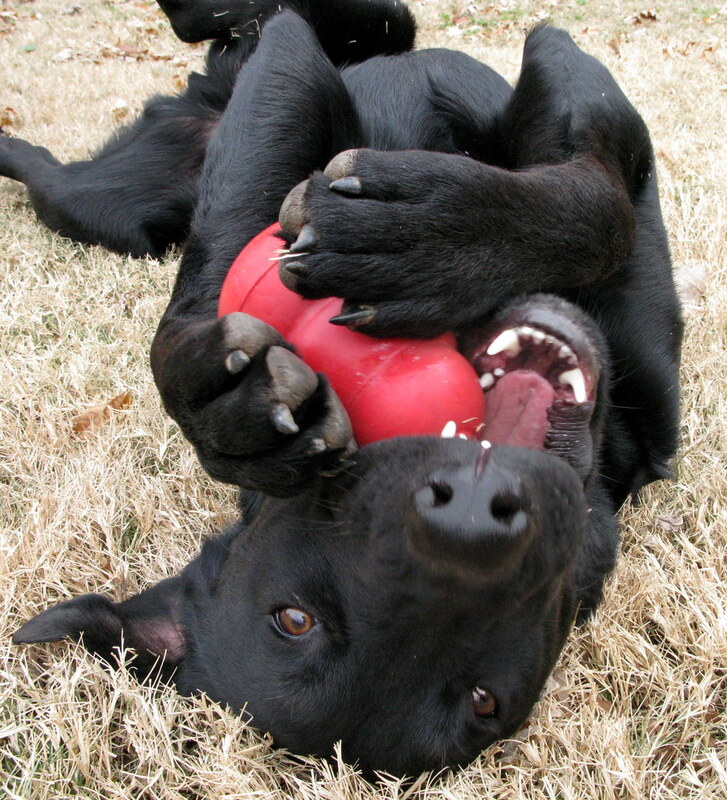 Dog toys are inexpensive and are easily found in any pet store. Obvious but an essential nonetheless. Purchase a large bag of dry kibble food for your new puppy instead of moist canned food. Dry kibble food is recommended by vets, as it contains all the nutrients needed for a growing puppy. Keeping your house clean can be a pain, especially when you’ve got lots of furniture that needs cleaning in separate ways. Sofa’s and chairs need a different type of cleaning to wooden furniture or your carpet. Here we have some great ways to keep different types of furniture spotless. The effects of your spring clean have likely well worn off so why not try these new tips to clean your home. You’d be surprised by what you need to do and how easy it can be to keep your upholstery looking good. All you need to do is invest in a good vacuum. Hoover it once a week and you’ll keep the dust off. Make sure you keep fluffing the pillows so they don’t become too sunkun and also flip them to keep any springs even. It may also be worth purchasing stain protection from your retailer, especially if you have kids. This even applies to leather lounge suites, because although leather is easier to clean it can still stain.The quality matters too, if you purchase a cheap sofa or lounge suite it won’t last as long as a quality one. You can view a range of different suites at Roth Newton. Firstly as a preventative measure keep your furniture out of the sun. It will cook fine finishes, fading them over time and it will dry out and shrink the wood, which will cause cracks ruining even the most expensive of wood. The same applies to placing it near fires or radiators. You can clean the finish by using a small amount of water and gently rubbing at the wood but be careful not to totally soak it. After this use a soft wood paste to clean the actual wood, or for a quick fix you can use the appropriate colour shoe polish on scratches and chips to fill them in. There are many ways to care for wooden furniture, but to keep them looking in top condition you need to give them a good buff and polish at least once a year. Dusting is a tedious old task but you can make it much easier by using these tricks. Use fabric softening liquid on your TV screen to eliminate the static dusk attraction. This will save you more work on a week to week basis. You can do the same when cleaning venetian blinds, it’ll repel dust and stop it clinging to hard to reach places. You can also use wet wipes to pick up dust instead of a dust cloth, by using this technique you can ensure the dust is picked up and it also wipes down your surfaces nicely. There are countless tips and tricks for cleaning your appliances but here we’ll go over the most basic and easy. The power of lemon and lemon juice cannot be understated, it blasts through the toughest of grease and grime leaving you with sparkling appliances, it’s especially useful when cleaning your microwave. To clean your stainless steel appliances like cookers and fridges you need to use a microfiber cloth, rub a detergent solution onto the marks in small sections and go with the grain. It’ll take some hard work, but it can get the toughest of stains out and it will leave your kitchen gleaming. You'll Fall In Love With This Delicious Candy All Over Again! Sweet, rich, and overflowing with caramelly goodness, Sugar Babies have been an American favorite since the 1930’s. Brew up a cup of this cocoa and savor the chewy caramel treat’s smooth, slow-cooked caramel and candy taste in your favorite mug. 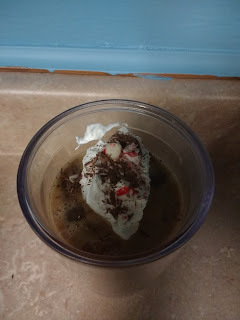 Want to know what I thought of Single Serve Hot Cocoa Experience? See My Complete Review HERE! How would you like a chance to try this Hot Cocoa for FREE? If you said YES! You're in luck! Thanks to this awesome sponsor, FOUR lucky readers will win a 40 Count Box of Sugar Babies Single-Serve Hot Cocoa for their K-Cup Brewer. Enter on the widget below for your chance to win. Remember the more entries you do the better your chances are to win! 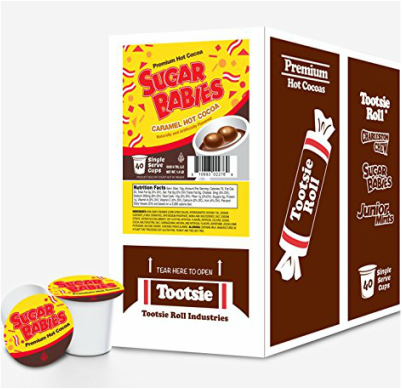 Prize: FOUR lucky readers will win a 40 Count Box of Sugar Babies Hot Cocoa. There are EIGHT more giveaways for you to enter on this hop! All have FOUR WINNERS so be sure to hop around and enter for a chance to WIN some great prizes! Remember you can't WIN if you don't ENTER. We all know how important a good night’s sleep is. It can help us feel fresh as a daisy the following day and ready to face whatever the world may throw at us! So there is no wonder that so many of us are trying to improve our sleep patterns and habits. But there is still one part of life that many people overlook when they are trying to get a good night’s sleep. Did you know that your bedroom’s decor plays a big part in how well you sleep? Get it right, and you will be able to enjoy your beauty sleep every night. Get it wrong, and you may experience endless sleepless nights! So, are you ready to change your bedroom decor for the better? Here are some fab tips to help you. Do you only have one light right in the middle of your bedroom? That could be too bright, as it will be bathing all your room in its light. It would be much better if you used some industrial adhesives and bonding to attach sconce lighting. These can keep the brightness of each light to certain areas of the bedroom. That way, you can sit in bed and read without being blinded by the bright central light! Aromatherapy is a great way to aid and improve your sleep. And there are many ways you can incorporate it into your bedroom’s decor. Firstly, think about adding some scented candles. And you can also add some joss sticks around the room. If you don’t fancy filling your bedroom with these strong scents, there are other ways you can still improve the scents in your room. The best way is to simply keep the overall scent neutral. You shouldn’t have any dirty clothes giving off a bad smell. Otherwise, you may find it difficult to get comfortable in your bedroom! It is also important to give some proper thought into the colors you use in your bedroom. After all, the color of your room will be the one you fall asleep and wake up to. So you should try and find a very pleasant that won’t annoy you first thing in the morning! You should choose a color that is warm and very calming. Generally speaking, neutral shades are best, such as pale yellow or coral. Some studies have shown that certain colors will affect your moods. For instance, don’t paint your bedroom red as it has a reputation for making people angry and frustrated. There have been many studies carried out to determine the effect of using electronics before bed. And most of these studies show that there is a negative effect. In fact, looking at a smartphone or tablet screen before turning the bedroom lights off can make it harder to fall asleep. For this reason, you should try and make your bedroom an electronics-free room. Instead of checking your emails, unwind by reading in bed! 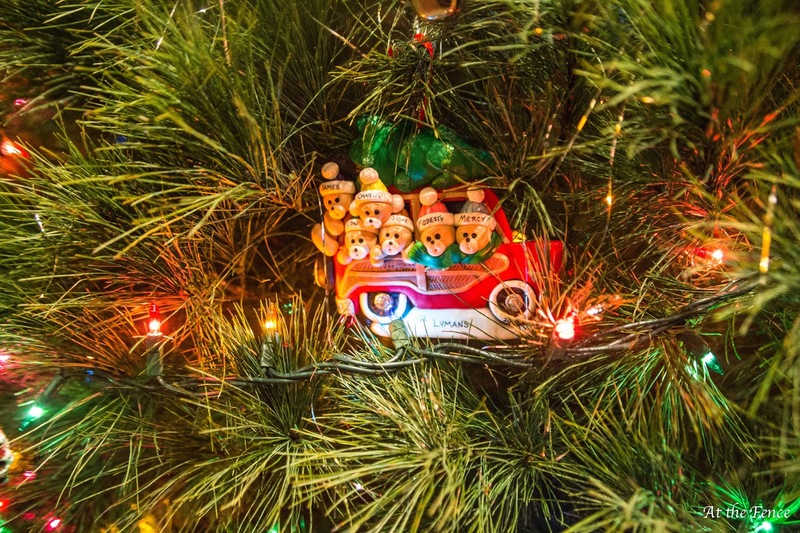 Do any of you purchase a special ornament for each year? We started a year or so ago. So, when I had the opportunity to work with Ornaments.com I was really excited. It was difficult to decide which one to choose. They have so many unique and specialized ornaments to choose from! They have family, inspirational, occupational, music and sports, just to name a few. 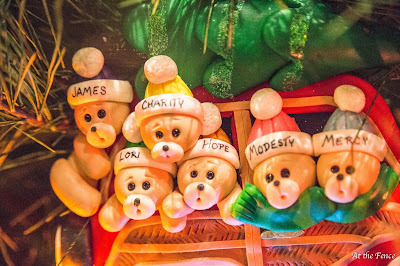 Many of the ornaments can be personalized with a name and a year. 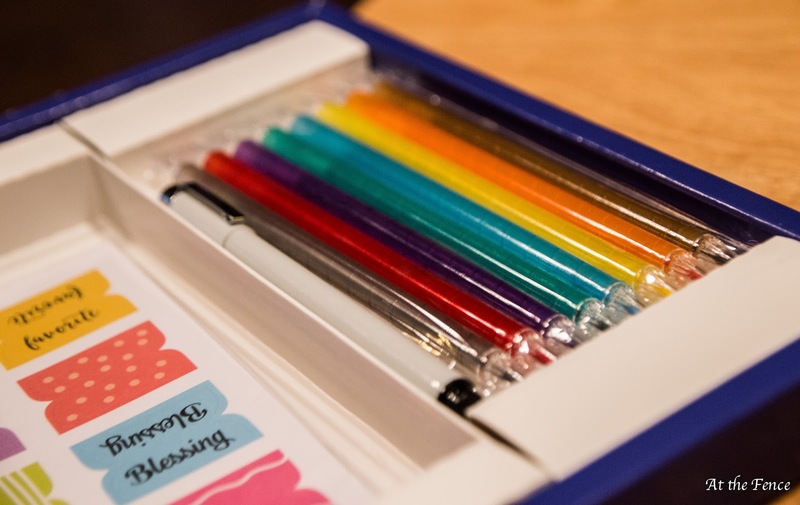 This makes them perfect for wedding, anniversary, and birth of a baby gifts. They can be brought out year after year and be enjoyed. For a child you can have one done each year. Or you can commemorate each year of marriage. We chose the Woody Wagon. It is a station wagon, with a Christmas tree on top and six bears with their heads sticking out of the windows. 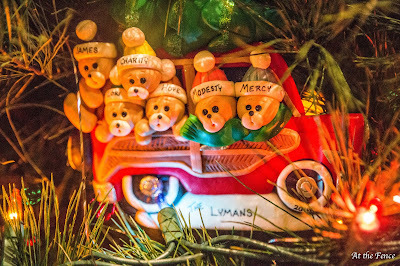 Since our two sons moved out, this gave us exactly enough bears to have my husband's first name, my name, and the names of the 4 girls, as well as our last name and the year. It looks really nice and my daughters all love it. It has beautiful, bright colors, and a ribbon through the top for hanging. It looks GREAT on the tree. It is so easy to order from Ornaments.com. 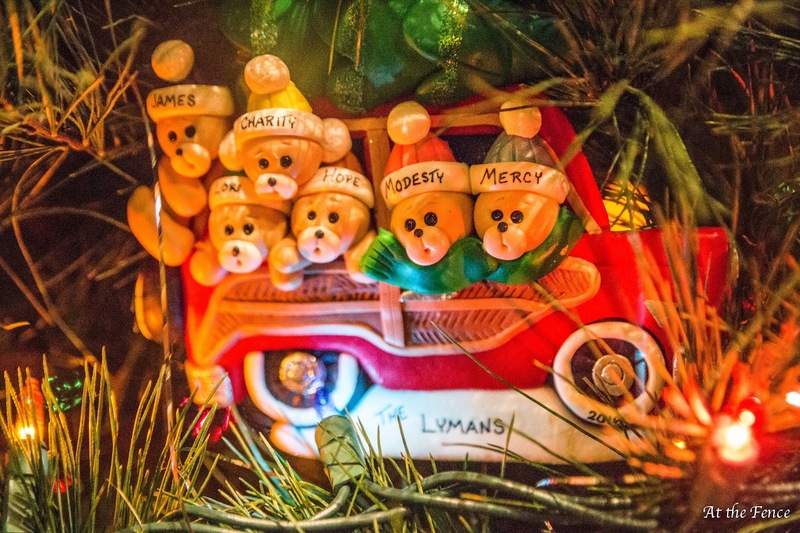 Pick out your ornament, then decide what you want on it. They have a list of available options for each ornament. Just fill in the blanks. You receive the ornament in a free gift box. 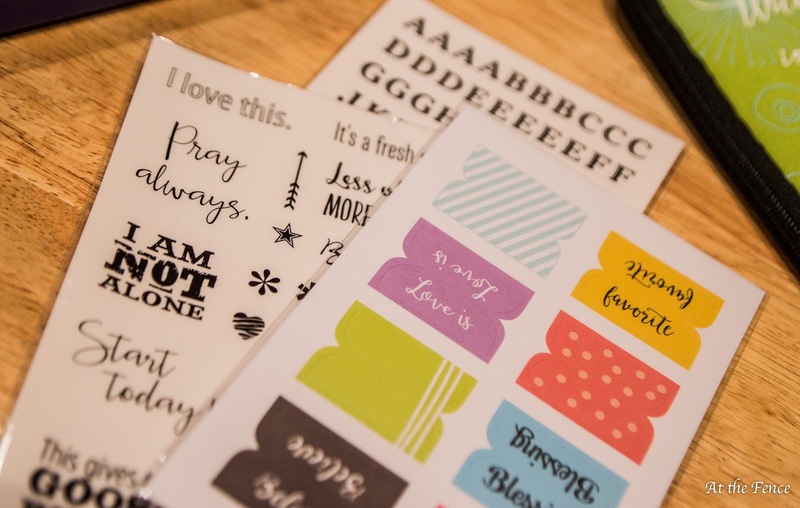 Personalization is free as well as a free gift card. You can add gift wrapping and a stand for an extra fee. 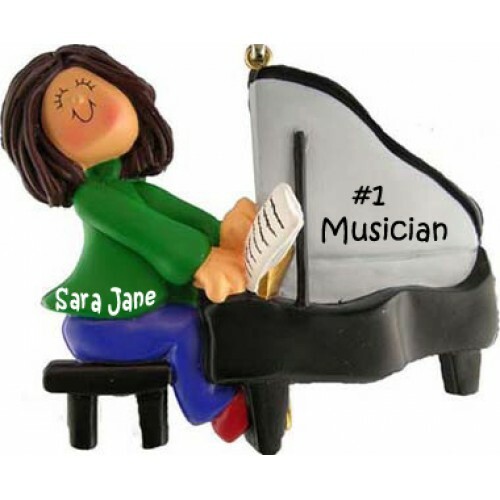 If you are looking for a special gift for a friend or relative think about giving a personalized ornament from Ornaments.com. 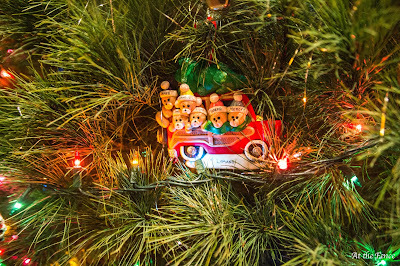 They will remember you every year when they pull the ornament out and place it on their tree. 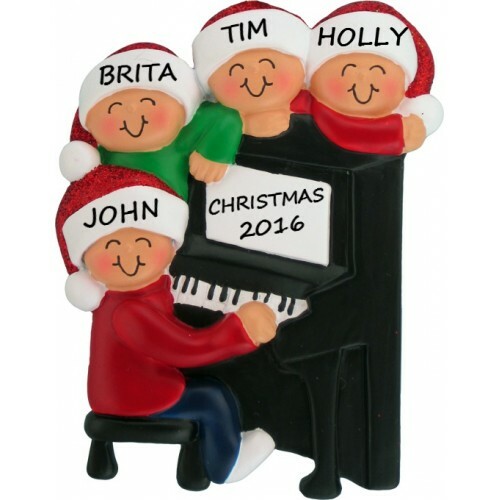 One neighbor will be able to choose their own personalized ornament from Ornaments.com. Make sure you enter and then share this giveaway! Thanks for stopping by for a chat. See you soon. Over 200 people a year in the UK go to hospital as a result of carbon monoxide poisoning every year as a result of a gas leak. Poisoning from this gas can kill, mixing with haemoglobin in your blood and preventing you from being able to carry oxygen. Knowing when to spot if you have a leak is difficult. Carbon monoxide is colourless, odourless and tasteless. However, there are ways of noticing it. This post will help you to understand how to tell if you have a gas leak and what to do in the case of an emergency. On some occasions you will be able to smell gas. If not then you may receive several symptoms such as dizziness, nausea and light-headedness. If you go outside for fresh air and the symptoms wear off, then you will know that there is a problem! Some physical checks can be made that may indicate to having a gas leak. When checking the flame, it should be a crisp blue and not orange or yellow. Check the pilot light – it may keep blowing out or not be working at all. Excessive condensation might also form on windows as a result of a gas leak. Also make sure your hobs aren’t making a funny sound or continue to hiss once you’ve turned them off. Go outside your property and call up an emergency plumber or handyman straight away. In the meantime, find the gas emergency control valve and turn it off. This should be on the outside of your meter box, or outside your house somewhere. Turn the gas emergency control valve lever a quarter turn 90 degrees and the gas should be off. Next, open all windows and doors to let us much fresh air into the property (and as much gas out!). Avoid using any electric switches as a spark could cause an explosion. Don’t light any matches for obvious reasons and if you’re smoking, put it out straight away. Finally, you should refrain from using you mobile in the property as this could also create a spark (this is why it’s important to walk outside your property because calling for emergency). Basically, any rule that applies to a petrol station should apply here. As soon as all this is dealt with, get outside into the fresh air and wait for emergency to arrive. Having your boiler regularly serviced is the best method of prevention as this should catch any potential problem early in the bud. You may also want to consider buying a carbon monoxide alarm as this will warn you of any potential leak long before you have to worry. These can be bought at most DIY shops and are best placed in a hallway or open area. Change the batteries regularly so that you’re always protected (most devices will beep intermittently to let you know they’re running out). Ok, I know you are wondering just what this is by the title. This is one of those unique type gifts. 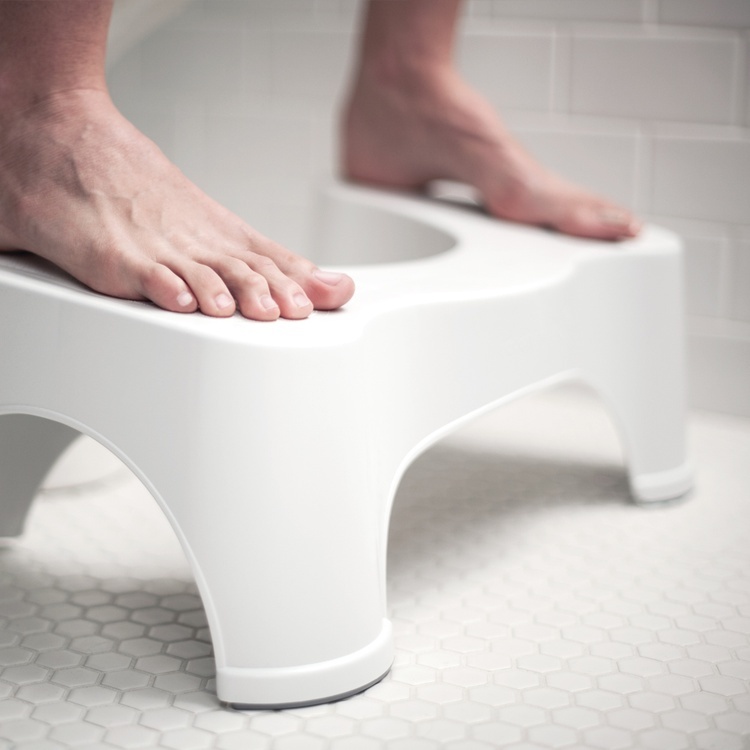 Squatty Potty is a stool of sorts that you place at the base of your toilet. The whole idea of the Squatty Potty is that it enables you to go to the restroom in a more natural position. Using the Squatty Potty raises your knees and you feel as if you are squatting rather than seated. This position is supposed to be a more natural position and allows your intestines/bowels to be in the perfect position for relieving yourself. Do you ever have a hard time using the rest room? You feel like you need to go, but just can't? Squatty Potty is designed to assist with that problem. Now I am sure you are all asking yourselves, is she serious? Well, I have a Squatty Potty in our bathroom and have tried it. It does seem unusual at first, but does become a comfortable position over time. And, yes it does appear to work. I will warn you, that the website sort of has what I personally do not consider funny videos and quips, but that does not change the fact that Squatty Potty can/does work. I am a little more reserved, and do not freely joke or even talk in a light manner about what I consider a private matter, but I nonetheless wish to share this invention with my neighbors. Squatty Potty also carries other products to help in these areas. They have the Squatty Potty in a couple of different designs, a bidet, potty spray (Unicorn Gold) and colon cleanse capsules. 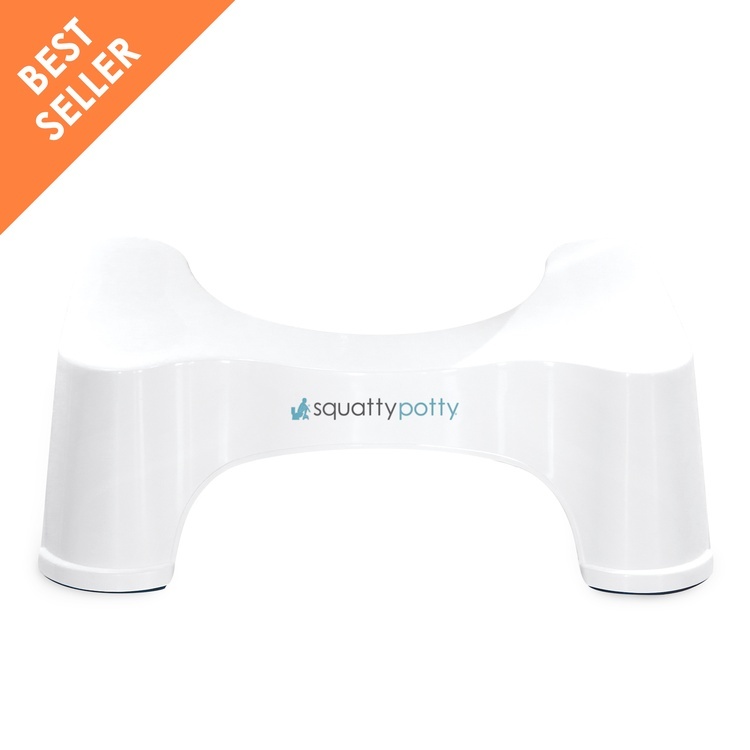 If your system has been giving you some problems, you may want to invest in a Squatty Potty. If you know someone, who has tried a colon cleanse or just needs some assistance in getting their system moving, perhaps a Squatty Potty would make a good gift. One neighbor will receive their own Squatty Potty. Enter and share! Thanks for stopping by today! See you soon. I want to say right here, I LOVE the journaling pen and the colored pencils. I enjoy underlining and writing notes in my Bible. I am not a fan of putting stickers in my Bible, but some may be. 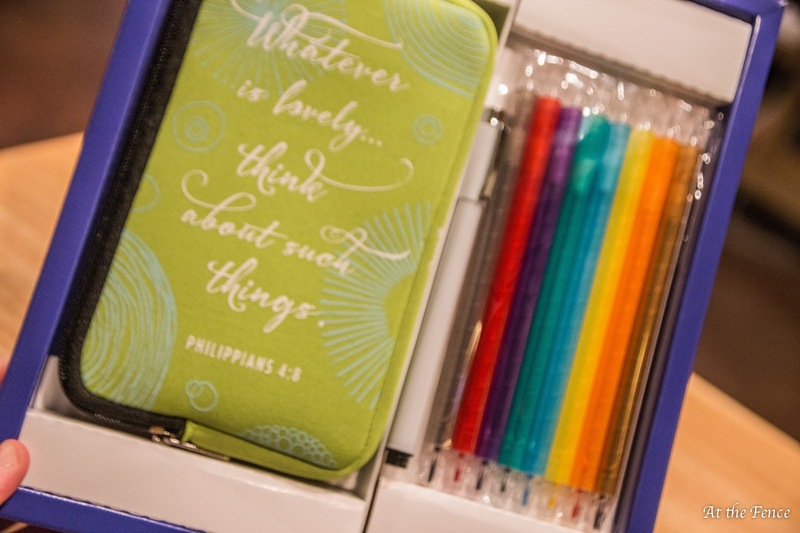 The case is nice too, because it will hold everything, and the elastic strap is adjustable and will fit around your Bible or perhaps the cover page, so you will have your items handy when you need them. 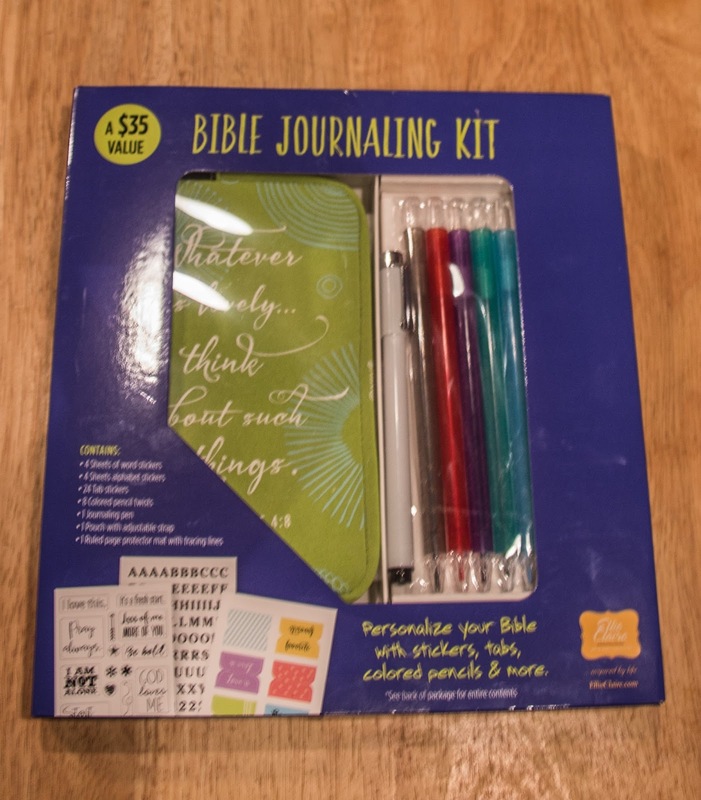 One neighbor will receive their own Bible Journaling Kit. Please read below, because only one winner per household is allowed. **Bonus: As part of this promotion, they are going to be hosting their own giveaway and are going to be giving away 5 different kits. Just click on this link: http://bit.ly/BibleJournalingKitGiveaway (The link also offers free downloads of several coloring pages, which might interest you). Have a GREAT day! See you again soon. Keeping up with modern life can sometimes be a struggle. You might look up one day and realize that you have fallen behind. One area where this might happen is in your home. You can take a look around and realize that it's out of date. It may have a charming, traditional feel to it, which you enjoy. But there are other ways that it can feel like it's not suitable for a modern lifestyle. Fortunately, making changes to your home doesn't have to be difficult. There are many things you can do to modernize it. And if it's all too much effort, you can always move. One of the top ways to get a more modern home is to consider how to make it greener. Some older homes aren't particularly energy-efficient. Luckily, it's not too difficult to change that using a number of methods. If you want a modern home, first consider how you can improve your energy usage. There are several up to date methods you can use to change your energy supply and usage. For example, many people consider installing heat pumps, solar panels or other devices. However, you don't have to do anything that big. Even swapping your light bulbs for LEDs makes your home more modern. While you're considering a green home, don't forget to think about technology. It's one of the ways you can make your home more eco-friendly. For example, you could use a smart thermostat to help regulate your usage of your heating system. Technology helps to make your home more modern in other ways too. For example, a quality internet connection is now recognized as something that's vital to any home. 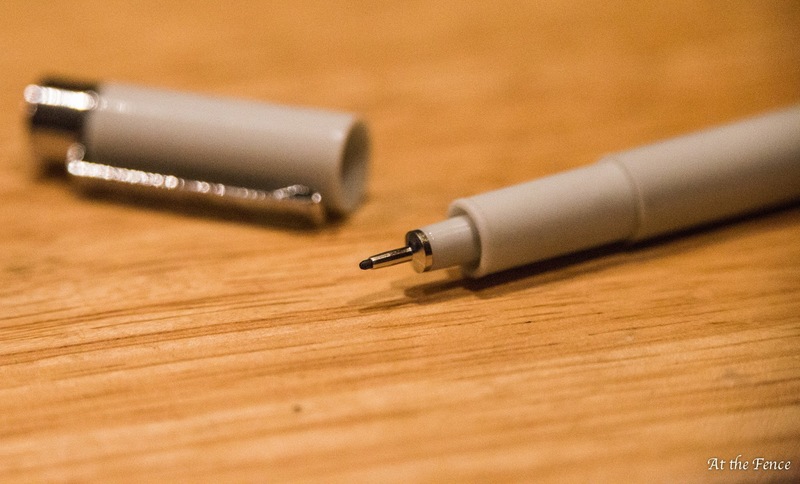 It can allow you to work and play, and stay connected to the world around you. New homes like the townhouses from YarraBend now often include high-speed internet as standard. There are many other fun things to consider too, such as entertainment systems. Of course, what your home looks like can be just as important as what it does. If you want more modern interiors, you have many things you can do with them. Start by looking at blogs and magazines or watching interior shows for inspiration. There are so many different ways to style your home to make it more up to date. You might feel inspired by the clean but fun Scandinavian style or perhaps you want to try an edgy industrial look. You can also make your home more modern outside. There's so much you could do with your backyard. You could create an outdoor kitchen or bar area. You can install electrical items safely, from TVs and sound systems to lights. If you want to modernize the exterior of your home, you could even consider changing the walls. You might give it a paint job or perhaps put on some siding. A more modern home could change the way you live your life. You could make a few small tweaks or do something drastic.